What’s the danger of listening to new, interesting music? There’s no danger at all. 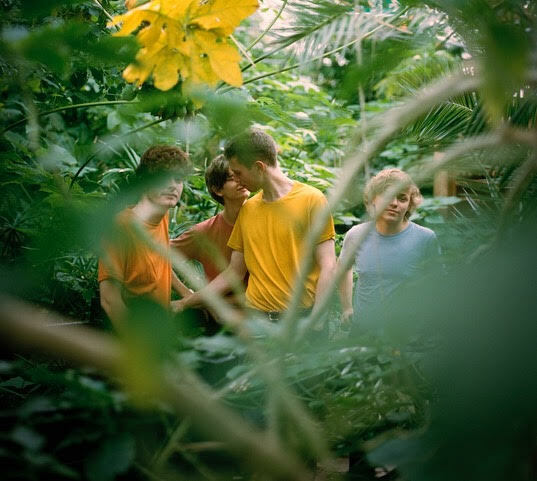 Leeds art-pop band, Green Gardens are all sorts of fascinating, but beautiful. Newly released and highly anticipated single ‘Change The Lights’ is laced with funky riffs and breathtaking energy. The vocal ranges are enticing, gripping and delicate and even though Green Gardens were born into the same society, musically as Marsicans and Talkboy, they’ve found a gap in the musical world where this genre isn’t often listened to and it’s mostly overlooked or overturned. ‘Change The Lights’ is a quick taster to what we will expect in the near future.